For Light Night Nottingham 2017, Sarah created an upcycled light installation made from hundreds of waste plastic bottles. Each bottle was collected from local homes and businesses, cleaned and then sandblasted. The sandblasting turns the bottles surface from transparent to opaque and enables the bottles to diffuse the light beautifully. 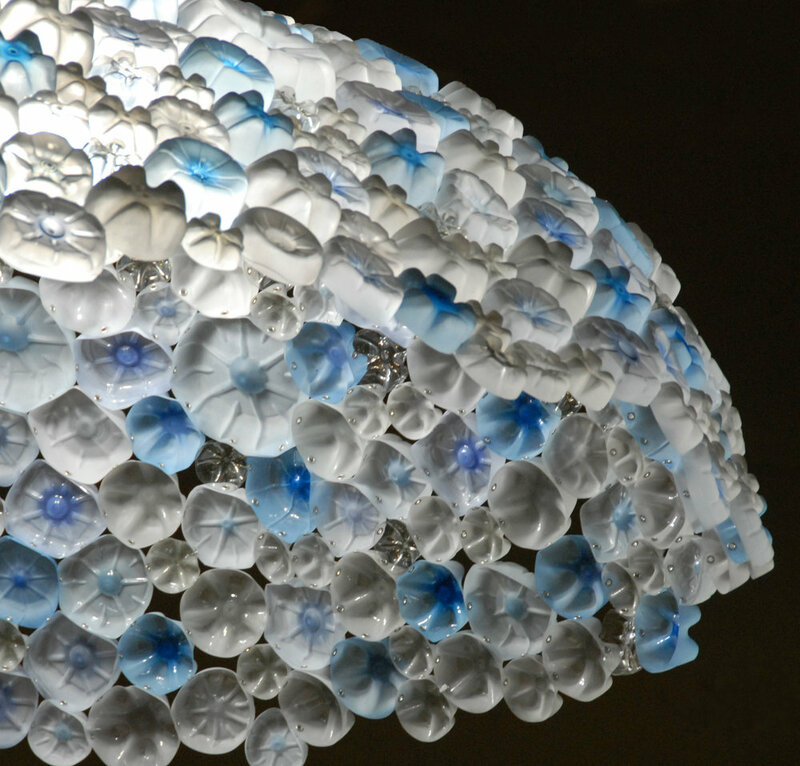 Hundreds of the plastic bottle bases were then made into the 1.5 metre wide chandelier, each joined one by one together using metal eyelets. 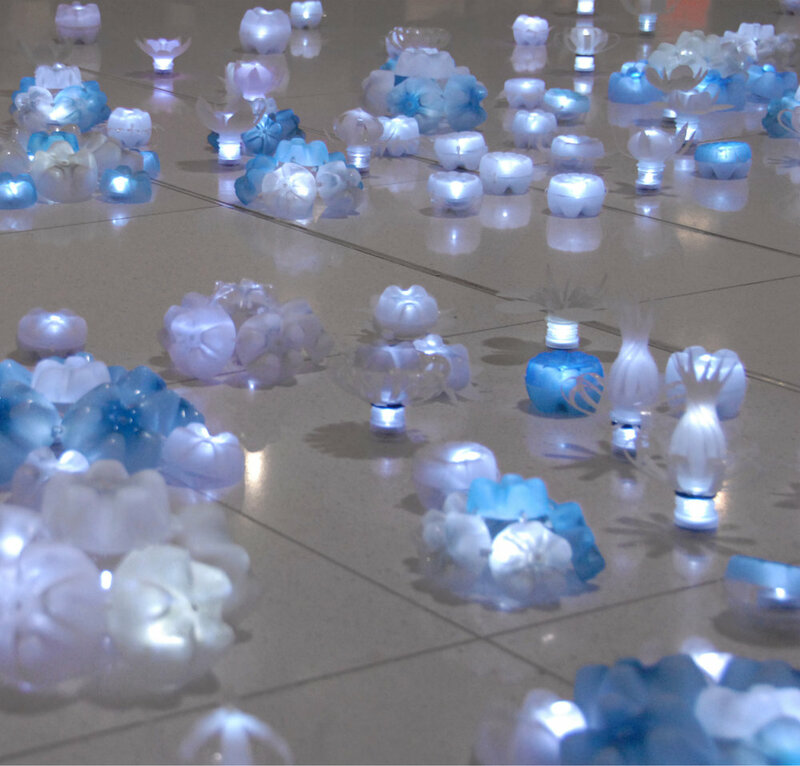 The small lights placed on the floor were cut by hand, sculpted into the flower forms and then illuminated with LEDs. The floor pieces were arranged so there was a pathway through the centre. Therefore people could walk through the installation to the centre and look up at the chandelier whilst being surrounded by the LED lights on the ground. The installation was exhibited at Nottingham Trent University in a fantastic space, the atrium of the Newton Building. Alongside the installation, Sarah also ran workshops. Around 250 people made their own plastic bottle LED light. This piece is available for sale or exhibition, please contact us for all enquiries.